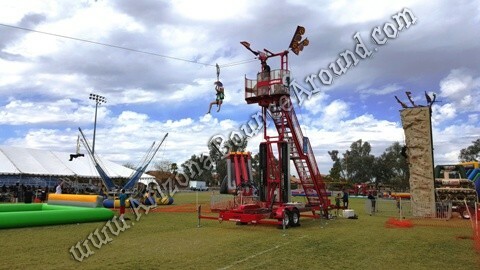 Our Mobile Zip line rental comes complete with staff to operate, several body harnesses in different sizes, *delivery, set up and removal. 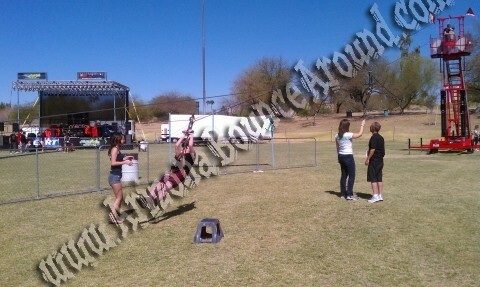 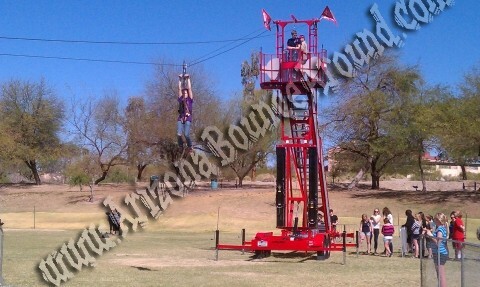 The zip line riders must weigh between 60 and 250 pounds to use the zip line. 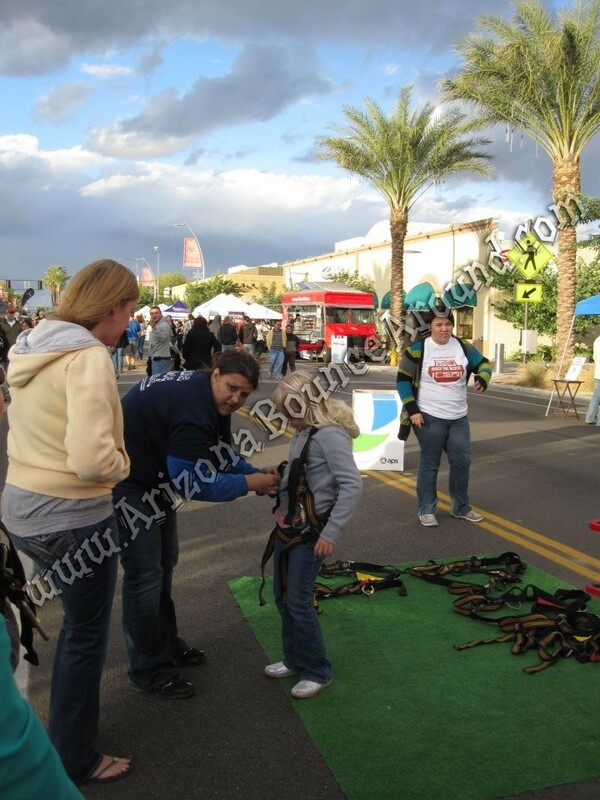 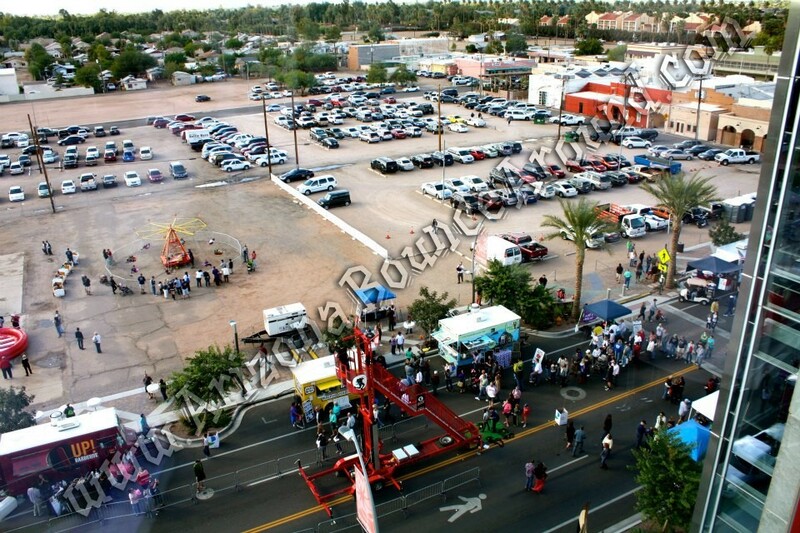 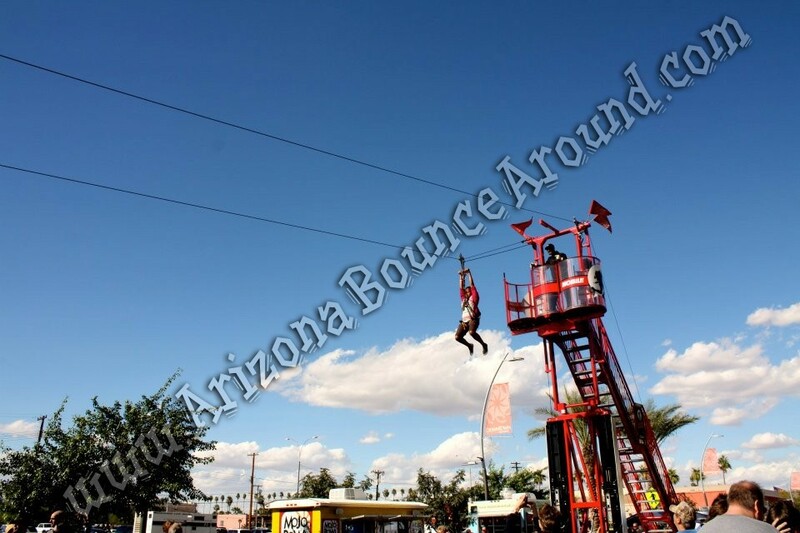 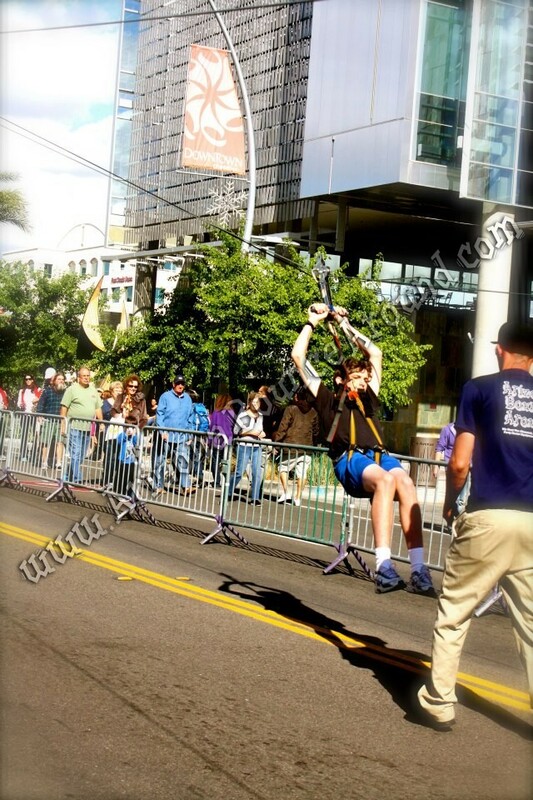 All portable Zip Lines and carnival rides need to have current state inspections required by the state of Arizona. 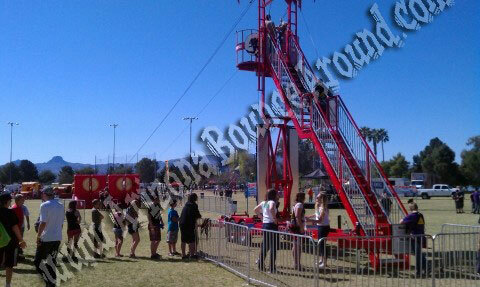 All of our carnival rides and zip lines have current state inspections. 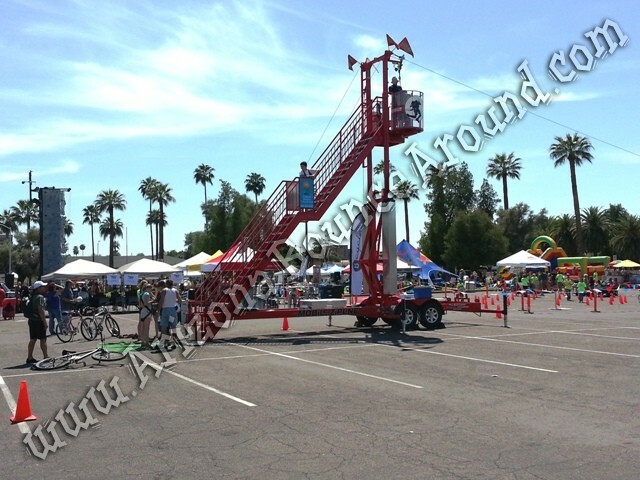 Before renting a zip line or comparing quotes make sure that the rental company has current state required inspections to prevent your event from being shut down by the fire department. 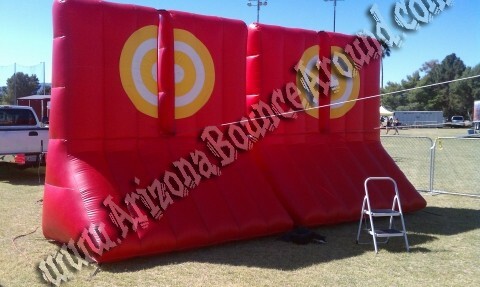 Check out our new stunt jumping air bag attraction featuring the Zero Shock Air bag.